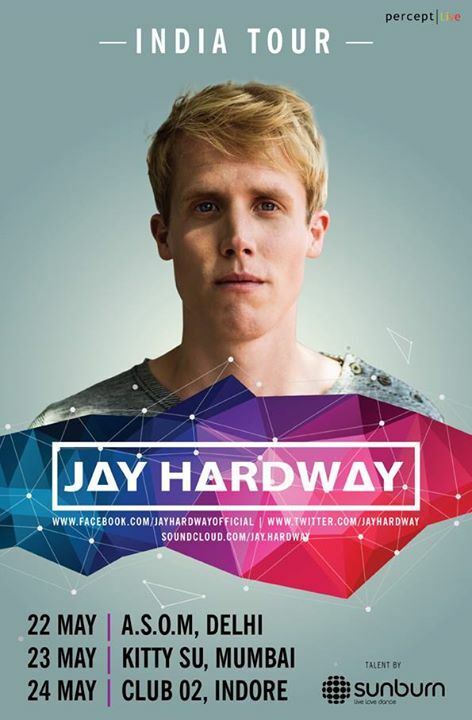 Sunburn Festival just announced that Jay Hardway will be touring India this May. Known for his #1 Beatport track ‘Wizard’ (with Martin Garrix) & bangers like ‘Bootcamp’, ‘Voodoo’ (with DVBBS), Jay is all set for a 3 City India Tour with Sunburn. Jay Hardway is a natural born drummer and producer. This youngster from the South of Holland is currently climbing his way up to the top! Jay is inspired by all kinds of music; you can hear his passionate creativity and drive in every Hardway production! With big successes already achieved in his still short career, Jay Hardway is proving to be a special one. His collaborations with wonderboy Martin Garrix are big dance floor bangers, receiving world wide support from the biggest names in the scene! Previous article Ultra Miami 2015 Memories – Official Aftermovie Teaser is out! Next article Tiesto drops Surprise Release CLUBLIFE VOL 4: New York City today!